Are you looking for FSU Apartments in Tallahassee? RentTally.com can help. We have the best search technology to assist you in finding the perfect place to live. You can search by hundreds of criteria including rent price, amenities, location, and more. Each listing contains great photos along with available floor plans, specials, and current pricing. Check out our neighborhood guide to help you decide what part of town is best for you and your lifestyle whether you are an undergraduate or a law school student. Read detailed information about the different neighborhoods including nearby restaurants, nightlife, bars, etc. Our resources page has a ton of useful information for new and seasoned renters alike. Advice ranges from signing your lease, to moving into your new place. When you are on the hunt for the best FSU apartments, this is the only website you need. Our up to date listings give you great insider information on the communities listed on the site. Find out about featured amenities, rent specials, resident activities, and more. As an FSU student, you rely on experts in their fields to impart their knowledge to you every day. Let us do the same in regards to apartments near FSU. 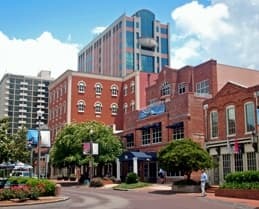 At RentTally.com, we have assembled an impressive team of experts, all local residents who know the area through and through. We've taken that dip in Westcott fountain on our 21st birthday. We've helped pack the stadium at home games. We know FSU. And we know FSU apartments. I’m a college student trying to save money, what should I look for in apartments near FSU to keep my cost of living low? Can I live in student housing near FSU but take classes at TCC? Where are the best off campus areas to live in? 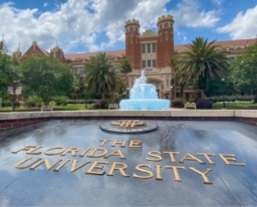 Any tips for making friends at Florida State University? I’m a history major looking to gain hands-on learning experience in the field. Are there any museums or historical landmarks near my apartment where I could job shadow or volunteer? I'm working on my spring break plans - are there any beaches near FSU apartments? 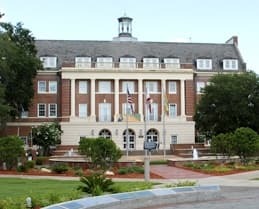 Tallahassee is home to many major schools, so of course this city would have plenty of options to choose from when you want to live in apartments near FSU. That sort of student-oriented community is one in which you'll be able to truly thrive. You have so many more important things to focus your brain power toward instead of worrying if you paid all of the bills at the right time. Make things easier and less stressful on yourself by choosing to live in apartments near FSU that are all-inclusive. Everyone wants to live with someone they can get along with! Fortunately, there are many apartments near FSU that make this easier than ever by offering a roommate matching process. This way, you can ensure you have a roommate with whom you mesh well. Furniture is expensive, especially when you need to furnish a whole apartment! Respect your student budget by opting to live in FSU apartments that are already furnished. This is an easy way to have a great set of furniture in every room without breaking the bank. What Makes Us Different?We're not here to "upsell" you into FSU apartments you can't afford.